LineageOS 15.1 for Nexus 6 (shamu) is now available to download via an EXPERIMENTAL development build. 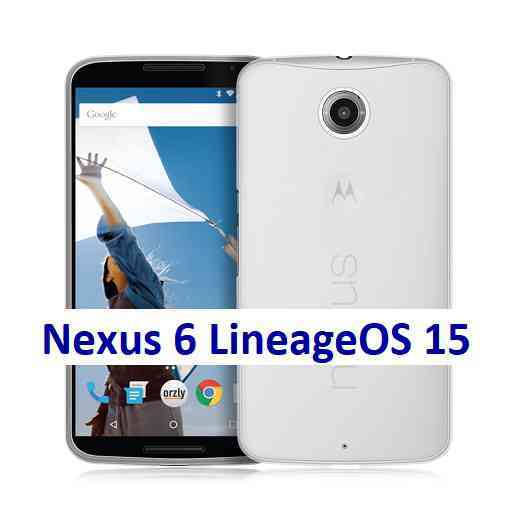 This post provides the download link to the Android Oreo based Lineage OS 15.1 for Nexus 6 (shamu) and guides through the installation process of the same. This LineageOS 15.1 for Nexus 6 is brought to you by developer chineel. Reboot and Enjoy Android Oreo with LineageOS 15.1 for Nexus 6. Copy the latest Lineage OS 15.1 for Nexus 6 ZIP file to the phone. Stay tuned or Subscribe to the Nexus 6 (shamu) forum For other Android Oreo, Nougat ROMs, LineageOS 15.1 ROMs, other custom ROMs and all other device specific topics.